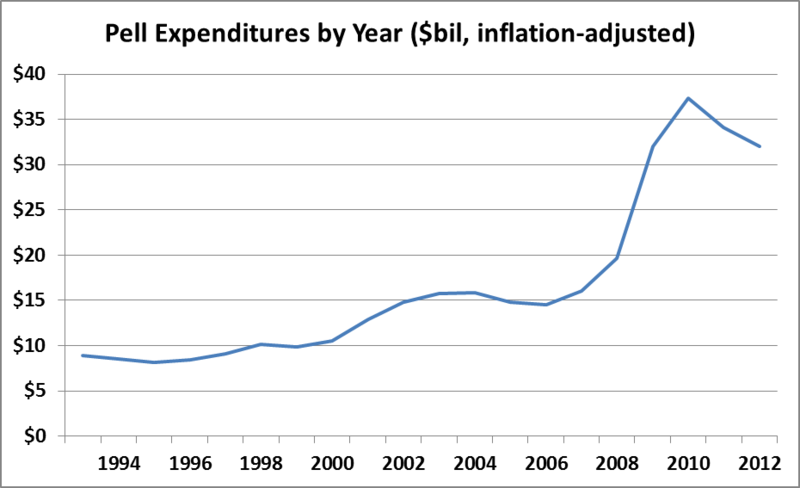 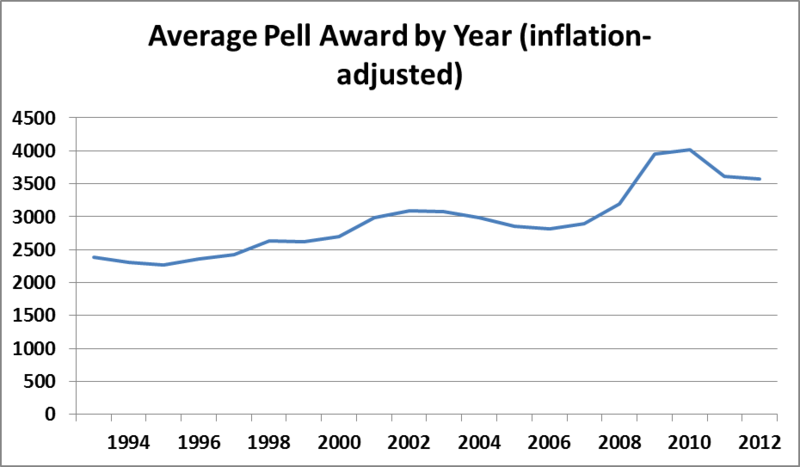 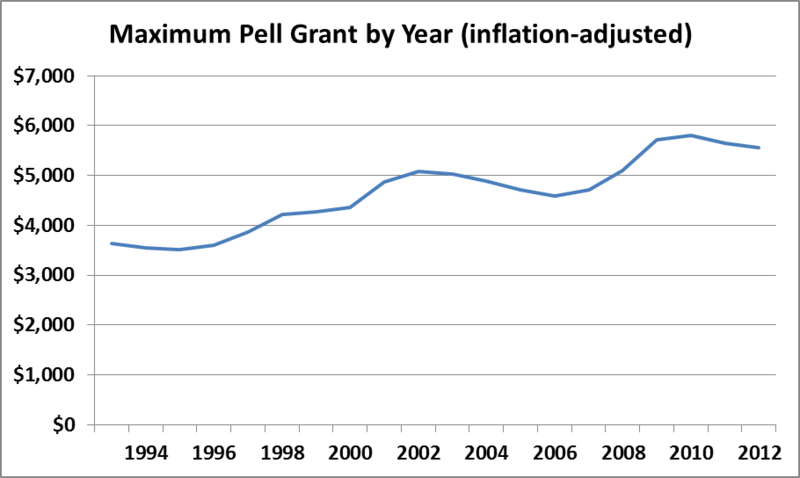 I mentioned this on Twitter, but it would be great to see inflation-adjusted Pell spending per student per year. 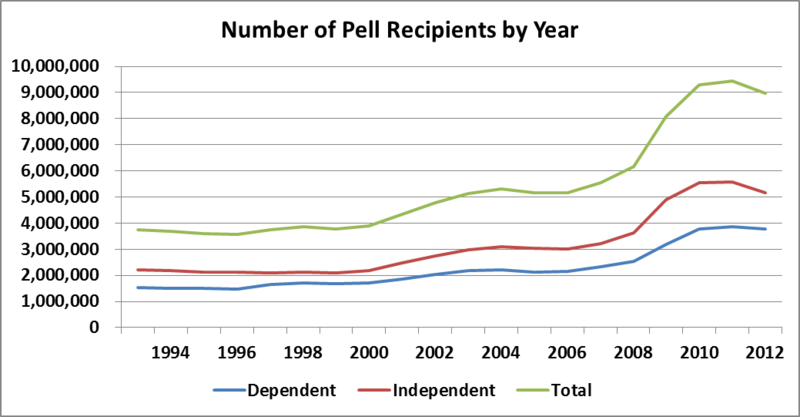 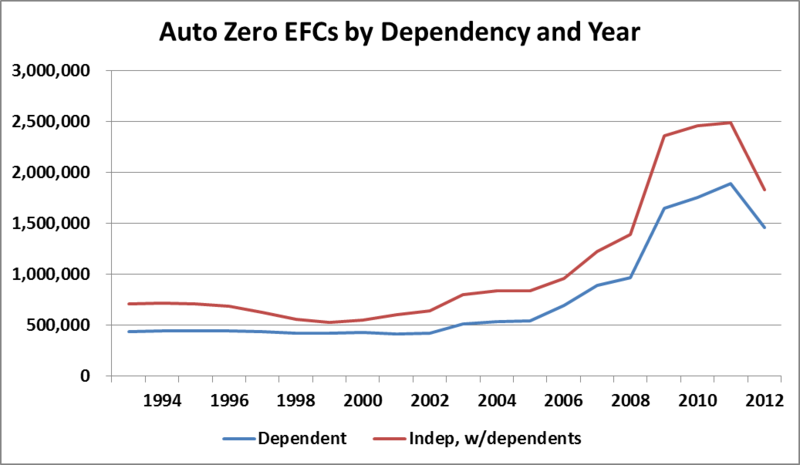 Charts so far show a big rise in both total Pell and total recipients. 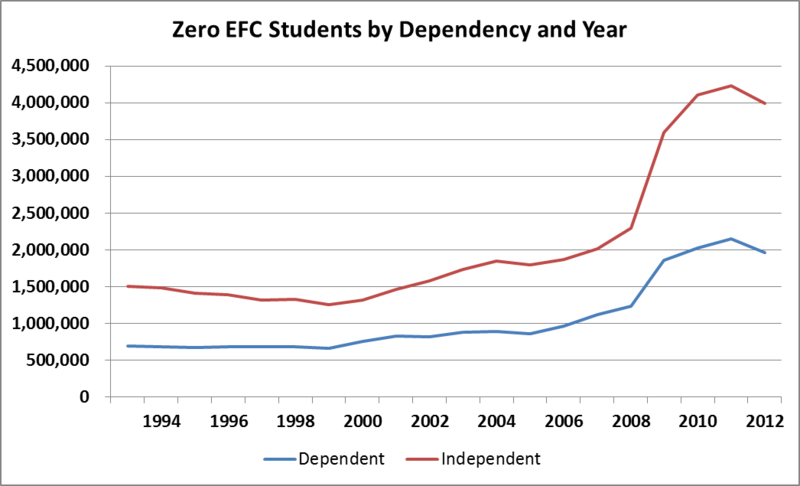 Previous Previous post: The Starbucks-ASU Online Program: More Short than Venti?